Viveks arts academy is one of the most talented dance academy in thane.We have been in dance industry for more than 5 years which makes us the most experienced dance class.VIVEKS arts academy not only teaches dance we also teach tabla,guitar,drawing and yoga.Dance belongs to everyone and its not just about making a career in dance its about expressing yourself.Everyone love dancing and people also finds dance as a fitness activity which makes it more flexible. Thats why we VIVEKS ARTS ACADEMY wants to spread dance throughout india.In our academy there are many dance styles and fitness programs which you can learn easily and can enjoy while practicing.We also have fitness programs consisting of traditional yoga,zumba contortion and aerobics. Due to our flexibility and immense experience we also provide training sessions for performing arts these are the special courses which we provide just to explore talent from you.These courses are weekend course and there’s no limit on age, anyone can join our dance academy in thane and can explore their talent. 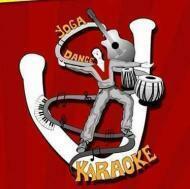 Vivek's Art Academy conducts classes in Dance and Western Dance Classes. It is located in Andheri East, Mumbai. It takes Regular Classes- at the Institute.